Teeny, tiny, Tinker-tots: Tinker's little babies hanging out. Feb 2019 - I have an adult female looking for a home. She is not one of my dogs, however, she is here. She is a senior female, very sweet, could do well with another dog but would be fine, alone, as a house pet. She is 10+ and black and white. Please contact via the form if you are interested. The Puppy Application is working again. My email is slushpuppymals@sympatico.ca or you can just use the contact form. 'How much does an Alaskan Malamute puppy cost' is usually the top question on a buyers mind. Cheap, expensive - cost DOES NOT dictate quality or health. Malamute puppies price has NOTHING to do with its health, only what the market will pay. Again, I would caution people, who 'buy dogs online' to carefully consider what you are buying, frequently, site, unseen. 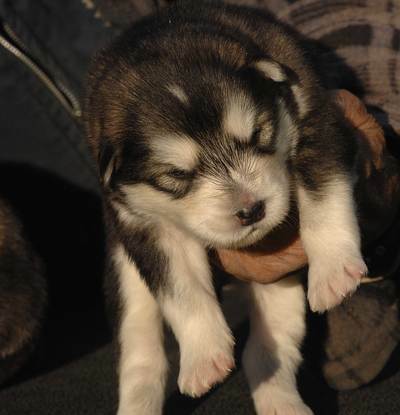 Looking for a 'Kijiji Malamute puppy' or Facebook malamute breeders? Found one? How do you know the puppy in the photograph, is YOUR puppy? Also, are you paying a premium for 'rare colors'? Well, there is NO RARE COLOR in Malamutes. Red Malamutes, and white Malamutes, are usually a LOT more difficult to sell, as they are not popular, like the grey or black Malamutes - until they are listed as 'rare' - and someone who doesn't know any better - comes along, thinking they are getting something, different, or special, for all that extra money. They aren't. Again, if you find dogs of colors being listed for more expensive prices, and nothing else differentiates it, from a littermate, than color or coat type, then you are most likely being 'suckered'. Coat colors in Malamutes, and length of coat in Alaskan Malamutes, are variable. What is considered a 'fault' is what these unscrupulous breeders are selling for a higher cost of a Malamute puppy. They basic pet owner doesn't know any better. They are left to think they have something 'special'. All dogs are special. Breeders who sell dogs for expensive prices, based on color, coat, and not health or correct home, are not special. They are slimey. 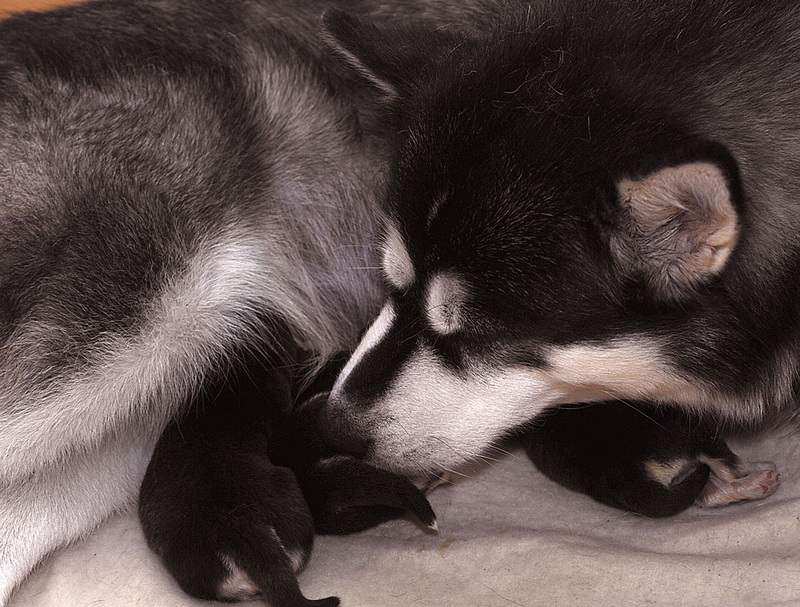 It's also not a crime to breed a dog without health clearances - or even a 'failed' clearance - if the Alaskan Malamute breeder is trying to eliminate a problem. But, that should be explained to the buyer. 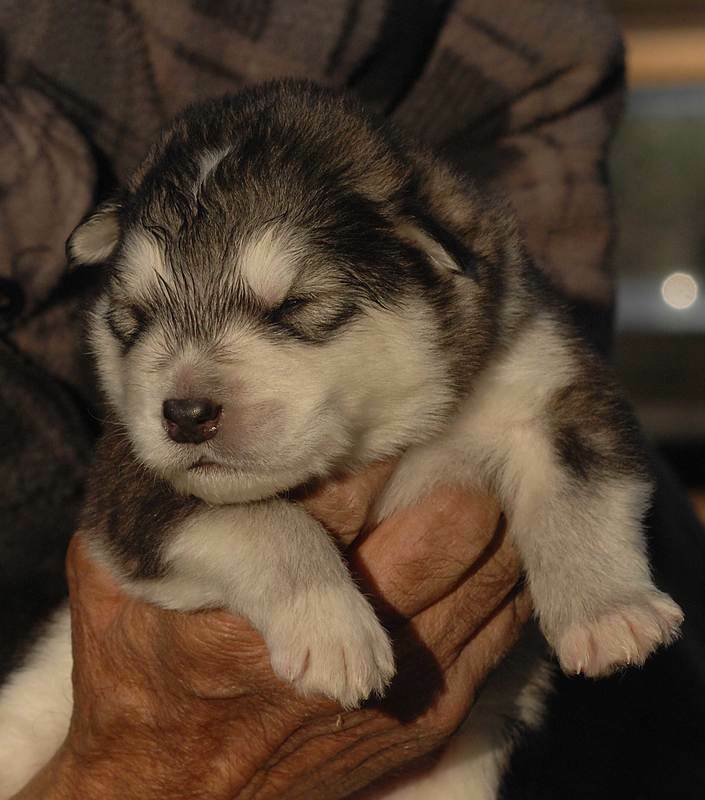 And, finally, most Alaskan Malamute breeders have a waiting list, prior to even breeding, so they KNOW Alaskan Malamute puppies will be going to homes and not 'fire-saled' off Kijiji ... it isn't unusual to see an older Alaskan Malamute puppies price for 'less'. Once the puppies are past 2 months, they go through an awkward phase, are deficient in training and a lot more difficult to sell - which may be due to the fault of the breeder, for not planning homes in advance, or a home fell apart ... so they likely are a lot cheaper. 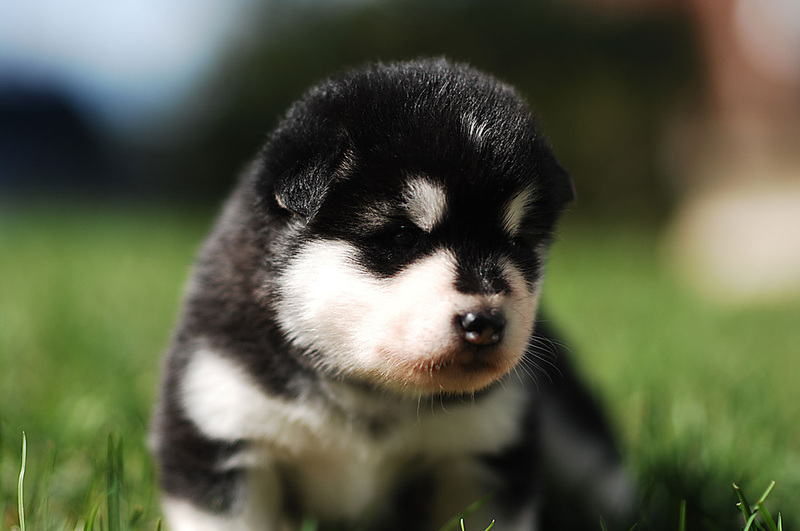 But, buyer, beware ... Alaskan Malamute puppies price range from $500 (unregistered or cross-bred Alaskan Malamute ) to $2000 (good quality Alaskan Malamute pet). 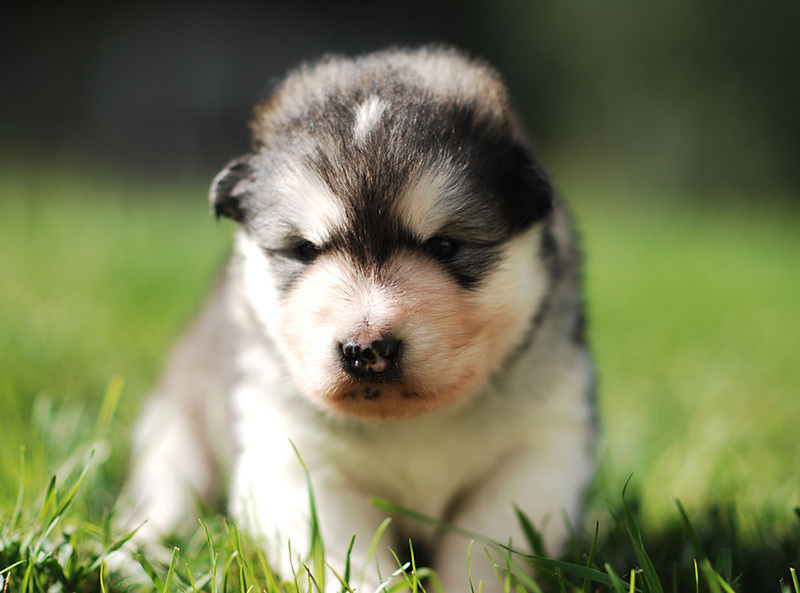 Some list special marketing terms to make excessive price seem logical, like that a 'giant Alaskan Malamute puppy' cost of more - or that a 'giant Alaskan Malamute puppies' costs more, or 'rare red' or 'white malamutes cost more. 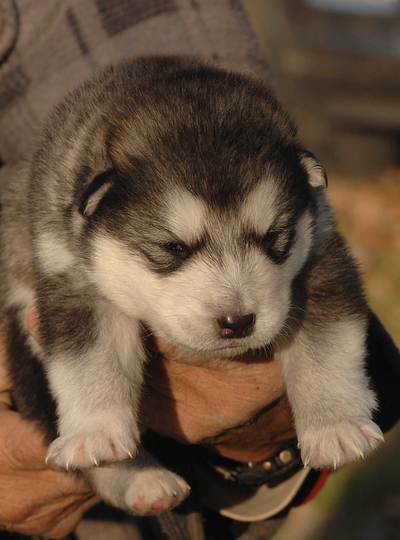 ALL of these are reasons to avoid such a breeder, regardless of what is the Alaskan Malamute puppy cost. Sire: AKC GCH CH / CKC CH BIS BISS Ice Crystal's Top Gun X Dam: CKC / FCC CH Slushpuppy's Special Sleigher, HIC - three puppies! Maverick - One of his BIS photographs. - Multiple Best in Show winner, Best in Specialty Show winner, multiple group wins, placements in both Canada and the United States. Tinker - standing on the dog shack Winter 2012. 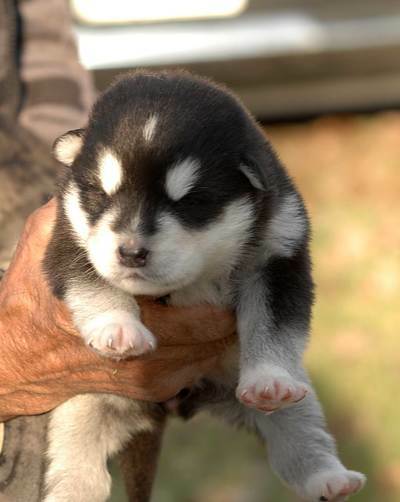 Purebred Alaskan Malamute puppies for sale: It's pretty clear there are not a lot of puppies 'to be found' around here and what is made, is going to count. Pets will be spayed or neutered - but NEVER before the growth plates are closed 1.5 - 2 years of age) as it has widely been proven to lead to a multitude of problems such as bone cancer, thyroid disorders, torn ligaments, cruciate damage and about 50 other common problems now seen in spayed and neutered (and very few intact) dogs. My guarantee is simple: if your puppy is diagnosed with any verifiable genetic disorder or disease that will degrade the quality of living of the dog (hip and elbow dysplasia, juvenile cataracts, heart defects, etc), any age, you will receive $500 back. Two year guarantees are worthless. MUCH of this stuff shows up AFTER two years of age. Injuries are not covered, for any reason. That includes broken bones, broken teeth, cuts, poison, etc. And you will never, ever, be made to give the dog back for any reason - but you are obligated to bring it back here, should you no longer wish to own it. 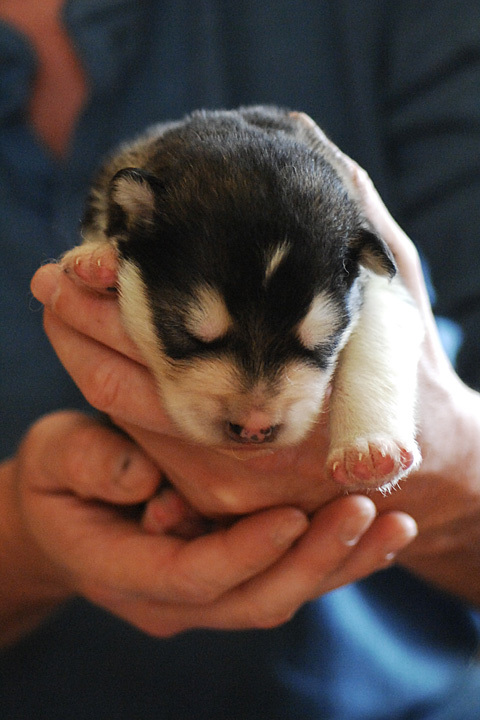 To ensure you have a healthy Alaskan Malamute puppy, you need to check - and so do I. Everything is outlined in a contract. It's pretty clear I don't intend to make a large number of puppies, and the ones I do have, are first, and foremost, for the working competitions I like doing, as a house-pack 'pet', second, and dog shows and 'other things', third. Many breeders don't do anything about their pet puppies - they test the parents for a few diseases and not much else - and that is their choice - but not mine. Check this link which defines good breeders, along with puppy mills, backyard breeders. If you are not interested in ensuring you actually have a healthy puppy, at these costs, please do not contact me looking for a dog. Lots of other breeders will be happy to help you. I already have a waiting list of people a) interested in seeing their puppy is a health tested dog; b) are interested in working at various activities with their dog; and c) interested in learning. MOST of the people who contact me, I refer on to other breeders, if they don't meet these qualifications. Not because they would be 'bad owners' - but for my dogs, active owners, with a motivation to learn, are a priority - and that might include people who've never owned an Alaskan Malamute. I have no issue with 'new' owners of the breed - all of us was 'new' at some point - so 'new people' are welcome to contact me. 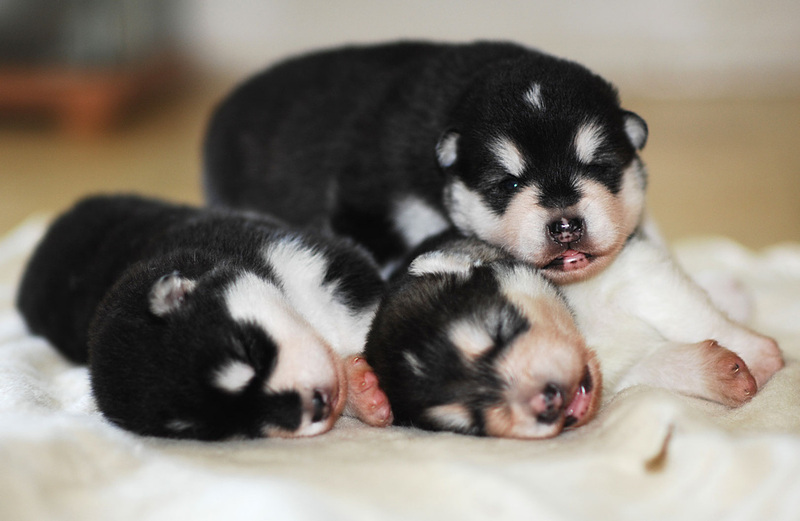 Any good Alaskan Malamute breeder should easily be able to recommend, if not make you, go look at other kennels or breeders to be sure you are getting what you expected. Be very, very careful of breeders who bad-mouth other breeders, for any reason. It's a tactic to 'get' you to buy their dog, over the 'bad breeders' dog. How are you to know who is good and bad, for real? Beware, of breeders bad-mouthing, misleading and misrepresenting other peoples dogs, their own dogs, other kennels, or kennel names, in an effort to promote and sell their own dogs. They are likely desperate to rid themselves of their own unsalable puppies, who were ill-planned, and will do so at all costs - and at your expense. We've seen enough purebreds - from all lines - in rescue - who ate doors, couches, walls, tables, beds and the occasional small animal like cats or birds - so if this shocks you - please look for another breed! If a breeders photographs depict Working Alaskan Malamutes working at sledding, weight pull, scootering, packing etc - and winning - expect a higher edge in temperament and LOTS of energy. And certainly expect more than one or two photos of a dog tied to an empty sled! If the photos show only dogs standing in a kennel or back yard, expect they do little else than 'breed.' The actual cost of the puppy should be straight-forward an obvious, not a hidden secret. 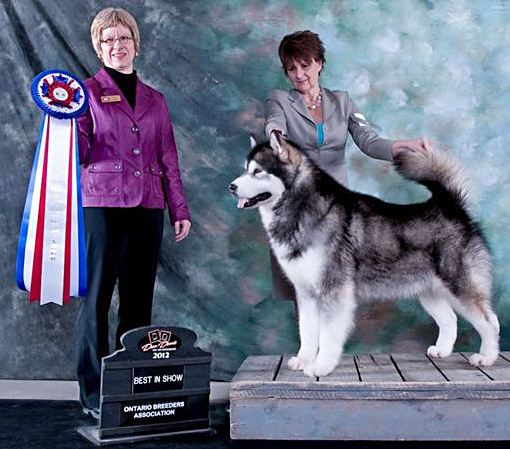 Alaskan Malamutes sold in Canada, by Canadian breeders, should be sold CKC registered. Never, EVER should a Canadian dog be sold under AKC registration (USA) unless it IS American-bred. It is illegal to sell registered Alaskan Malamutes at one price and without registration papers at another price. ALL purebred dogs in Canada come with registration, or they are simply not registered and, instead, a mixed breed (same as a mutt). There are one or two breeders selling via UKC registration and, while it's a legitimate registry, (my own dogs are dual-registered with CKC and UKC, for example) ask them why they are not using our Canadian-made, legal registration system. Dual-registered means registered with both systems and can compete in both. 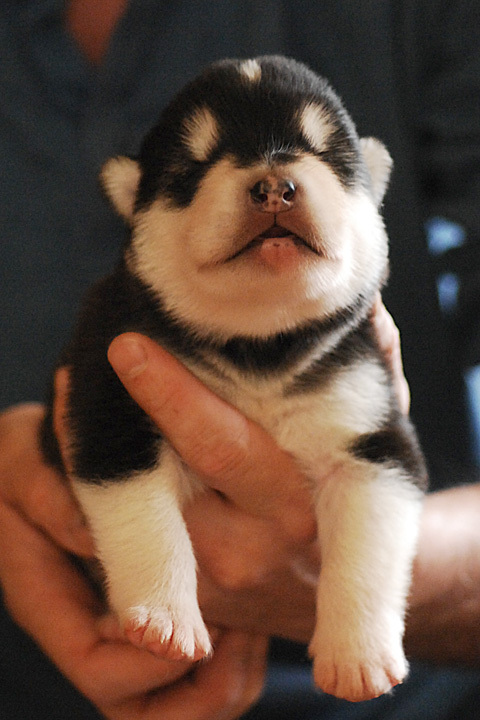 See also the Alaskan Malamute Club of Canada Breeder Web page. Breeders are listed in one section, members in another (all breeders are regular members but pay a small fee to be listed as 'breeder' if they want, so it's not uncommon to NOT find a 'breeder' listed there - why would someone want to respond to all kinds of enquiries when they DO NOT have dogs?). However, if you don't find their name in 'Members', they aren't a member. In fact, check with all the Clubs you find on the Breeders Web site, via Email, as to whether they really are a member. Not all Clubs list their members online - or as in my case - not all members choose to be listed as a breeder with all clubs (and be swamped with inquiries for dogs they are not going to be producing). Many unscrupulous individuals simply list Alaskan Malamute Info or other organizations on their Web sites, leading unsuspecting people to believe they are actually members, when they aren't. It's not like a Web link costs money - or requires any verification! 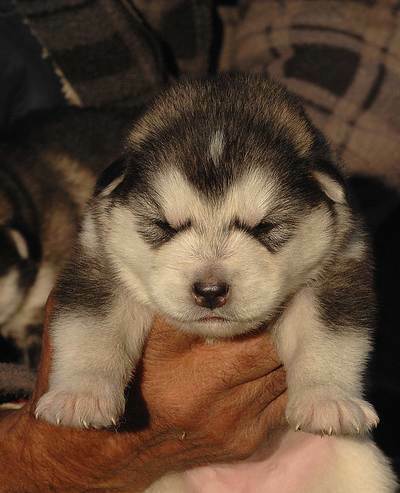 From the Alaskan Malamute Web sites you end up on, are there pictures of their Alaskan Malamutes in the house? When you visit, do you find the dogs (and lots and LOTS of fur) in the house? No? One token, elderly, dog living there, or one waiting to go to a dog show, doesn't count. If they don't live in a house, don't expect them to be accustomed to a house, when you bring the puppy home. Many dogs only see the inside of a house when their litter is whelped - and it is better than nothing. 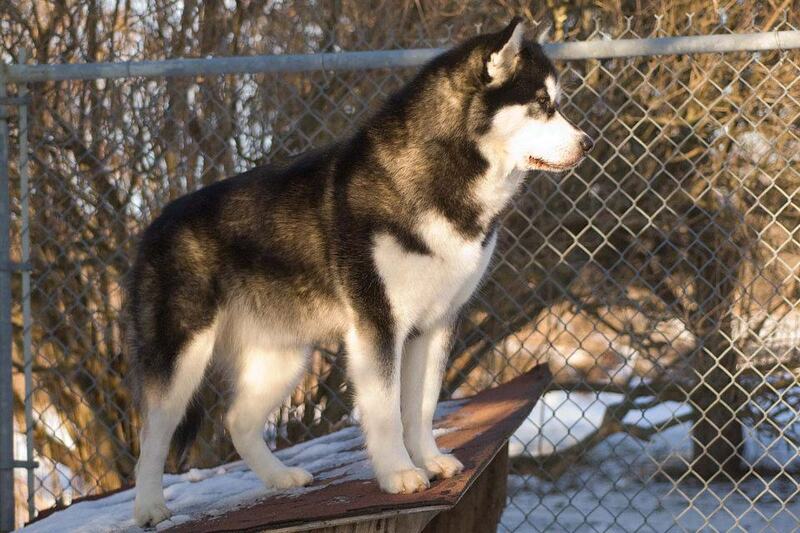 Alaskan Malamutes do well outside, and can happily live in a kennel, which is a necessary reality of 'breeding Malamutes' if you have a lot of dogs. But not relative to someone who says they want a 'pet' - and so no Alaskan Malamute puppy I sell will ever go to a pet home that intends to make a 'kennel dog' of that puppy. Pups sold unregistered, no shots, no titled / papered / tested parents - and with no homes waiting are listed for sale the fastest ways possible. They really aren't much of a bargain, with the cost of treating the diseases, temperament problems. 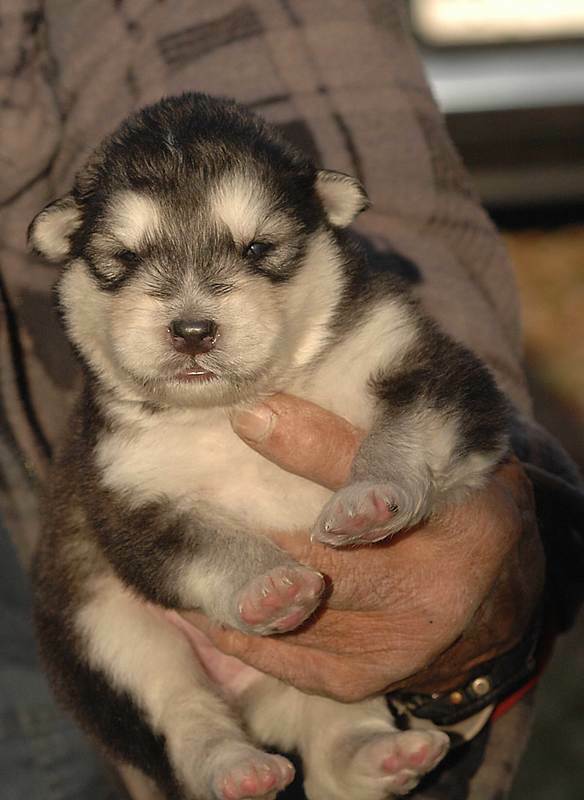 But the cost of that Alaskan Malamute puppy - is virtually 100% profit, whether it was $500 or $1500 dollars, when NOTHING has gone into its making other than thinking of it as a profit center. 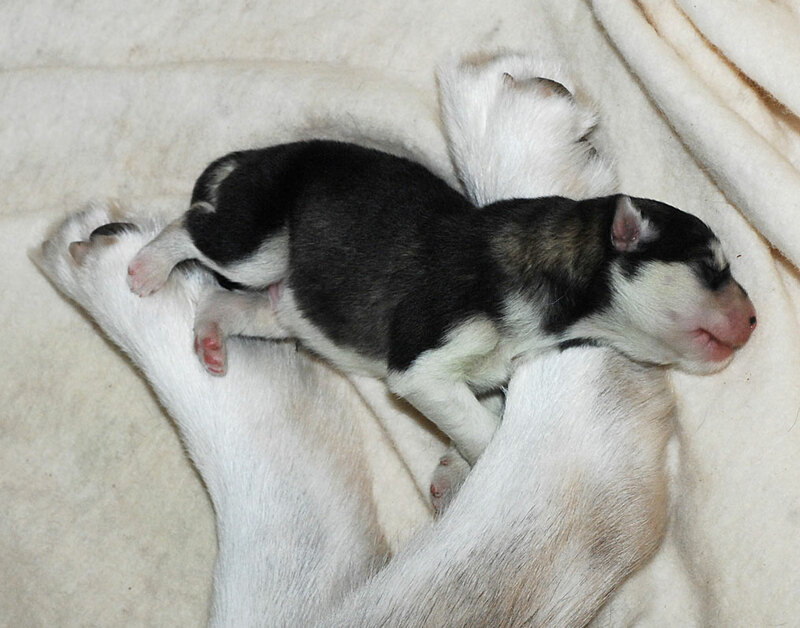 The best breeders give no thought to cost - they bred to keep a puppy. Be really wary and careful of those breeders selling the entire litter, and keeping nothing. A dead give away is 'first or second or third choice' - based on order of deposits - these would normally be the 'keepers' for the breeder. 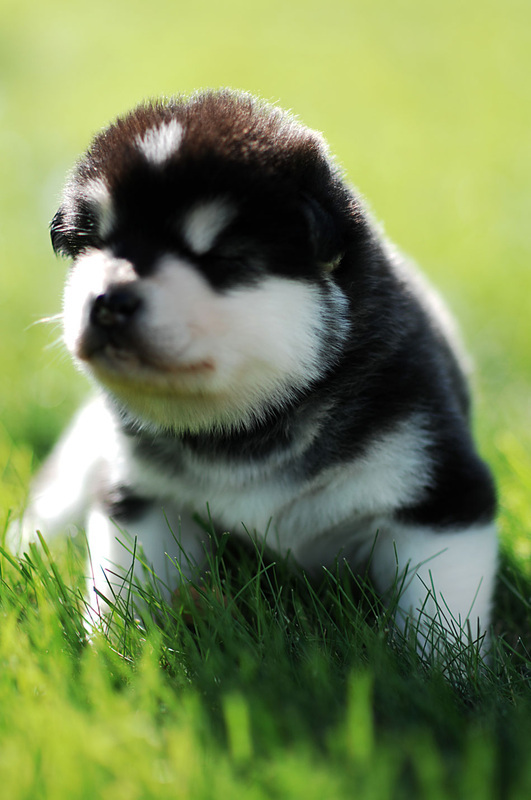 A 'Kijiji Malamute' could cost you thousands of dollars in vet bills. 1. Have convenient electronic ways to take money (i.e. 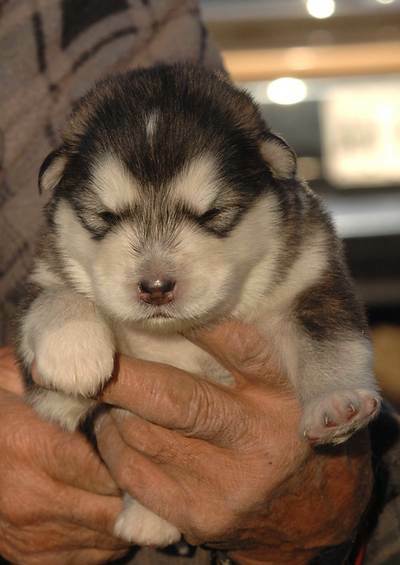 PayPal) for an Alaskan Malamute puppy (often citing 'no money back' - no matter what). 2. 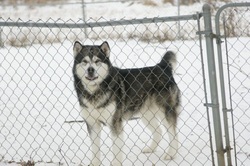 Lack participation in any activity to promote their Alaskan Malamute dogs and the dogs rarely leave the property. 3. 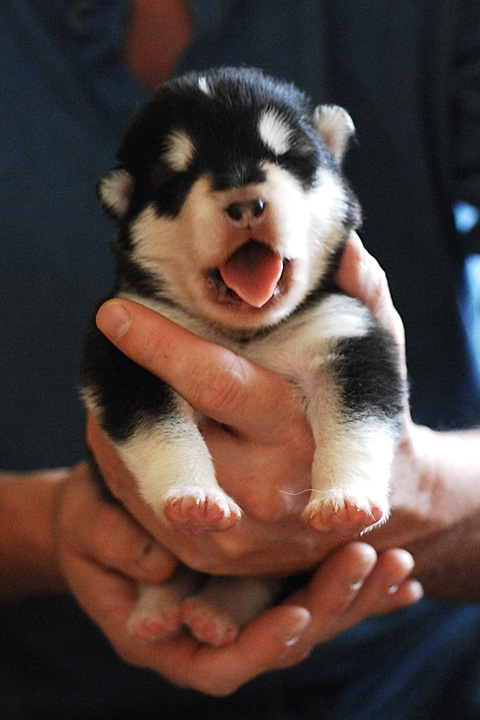 Lack of any form of education (either on the giving, or receiving, end) about Alaskan Malamutes or dogs, in general. 4. 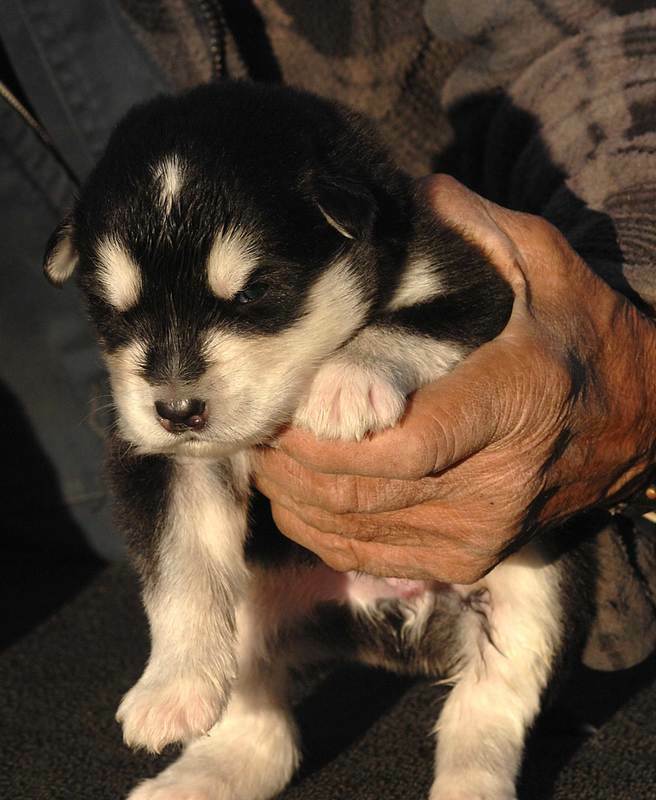 Permit 'picking' of the Alaskan Malamute pet puppy based on order of deposits (BEWARE: huge warning you are about to be financially taken). 5. Have more than one (or possibly a rare second) litters at any given time. 6. Have ridiculous prices (i.e. $2000 for a 'pet') based purely on hope of some idiot paying that amount for a pet without checking normal prices. 7. Have ridiculous prices (i.e. $2000 for a 'pet') based purely on size, coat color, length or markings, or being 'rare'. Malamutes are not rare. 8. Breeding 'rare' anything - and charging more for it - while calling it a 'pet'. Malamutes are NOT rare. Giant Alaskan Malamute is a marketing term. 9. Bad-mouthing other breeders, breed clubs, other styles of Malamutes, etc. 10. Scheduled 'breedings' of multiple litters for months in advance - with no end of 'scheduled breedings' in sight. 11. Vague or no guarantee if the puppy ends up sick, diseased - or dead. 12. Request you 'take' two puppies instead of one (BEWARE: a fire sale on puppies is NOT a good sign). 13. Parents had no health testing and / or breeder is unaware of any health issues in their dogs (or breed). (BEWARE: huge warning you are buying something with a high, high potential to become sick and cost you thousands of dollars). 14. Breed multiple breeds, cross-breeds - and nothing but litters of puppies. 15. Has a bad reputation. Dead, sick, diseased dogs are not rare, either, in Malamutes, or any other breed. They are especially common among dogs with no health testing and no guarantees. Any one of the above items is a 'problem' however if you see signs of more than one 'negative' item from above, then you are likely going to end up with an expensive, sick, problematic, low-quality dog who will not make its natural 10 - 12 year life span - and who will cost you double, triple, or ten times the cost what a normal-priced, Alaskan Malamute - of any color or size you wanted - would have cost you had you gone to someone who bred to have quality dogs, and waited a month or two, rather than go to someone who specialized in 'quick sales'.